Can’t decide what flavor cupcake to bake for Mom? 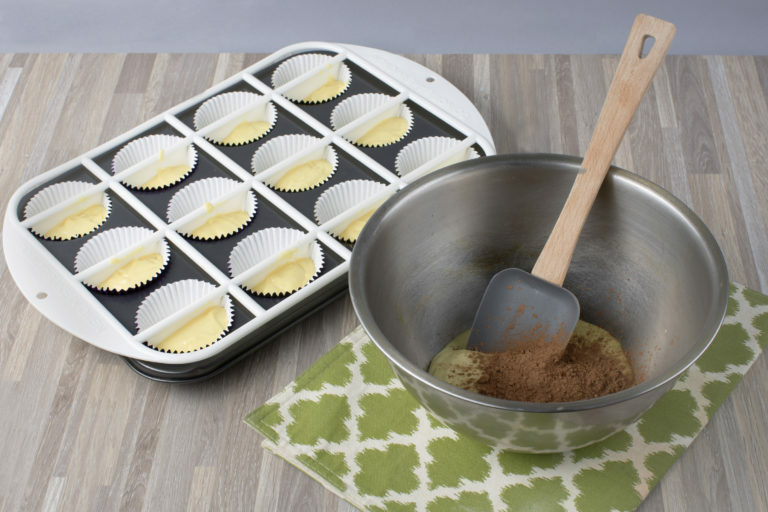 Bake her all of her favorite flavors with the Mrs. Fields Half N Half Cupcake Pan! Can’t decide which flavor to bake for Mom? 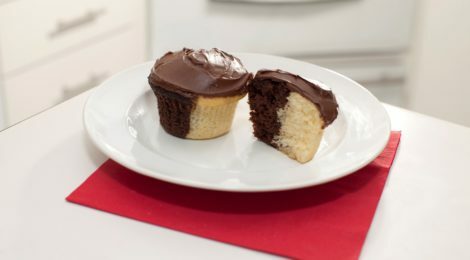 Make both of Mom’s favorite flavors in one cupcake with Mrs. Fields Half N Half Cupcake Pan! 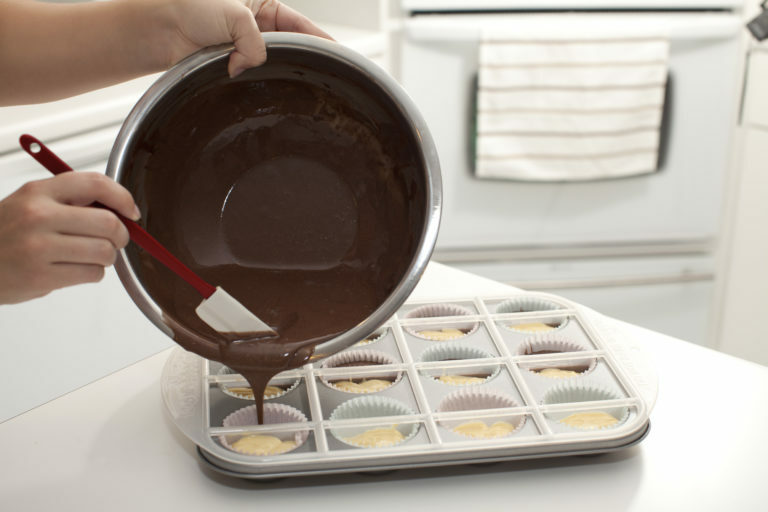 Complete with an easy-to-use-and-clean divider to separate cupcakes into two halves, the Half N Half Cupcake Pan lets users combine strawberry, chocolate, vanilla… and any other delicious flavors your Mom’s heart (or appetite) desires! Mix strawberry cake mix, eggs, water, and oil according to package directions. Mix lemon cake mix, eggs, water, and oil according to package directions. Add cupcake liners to your pan and place divider in. Apply some non-stick baking spray on the underside of the divider. Pour strawberry batter in one side of each muffin cavity. Use a squeezable batter dispenser if desired for easier pouring. Pour lemon batter on the other side of each muffin cavity, pushing down on the divider while pouring to keep it flush with the pan and prevent blending. Use a squeezable batter dispenser for easier pouring. Add chopped strawberries to one side. Carefully remove the divider before baking! Bake until toothpick inserted in the center comes out clean, about 25 to 30 minutes. Cool to room temperature before decorating and serving. Beat butter with an elecric mixer until pale and fluffy. Add powdered sugar, vanilla, heavy cream, and red food coloring. Beat an additional 3-5 minutes until fluffy. Fill piping bag with buttercream frosting. Starting in the center of the cupcake, pipe in a swirling motion until you reach the edges of the cupcake.